"We really like Brianna. When we arrived to the reception, she came outside & got us all lined up to go in. We made some last minute changes & she was very accommodating. I liked that throughout the reception she kept us informed about what was happening next & that she got involved & had a good time with everyone. Thumbs up!" "Extremely impressed with Bri. Playlists were on point, sound quality was impeccable, and the girl oozed professionalism. She is a must hire if you are on the hunt for a sick DJ." "I was really impressed with Brianna!! She did an amazing job at our wedding reception! She was set up & ready to go way early, was very professional, super friendly, the sound quality was awesome, she was very informative & she guided me & the guests through everything! The cherry on top is her sweet & irresistible personality!!!" 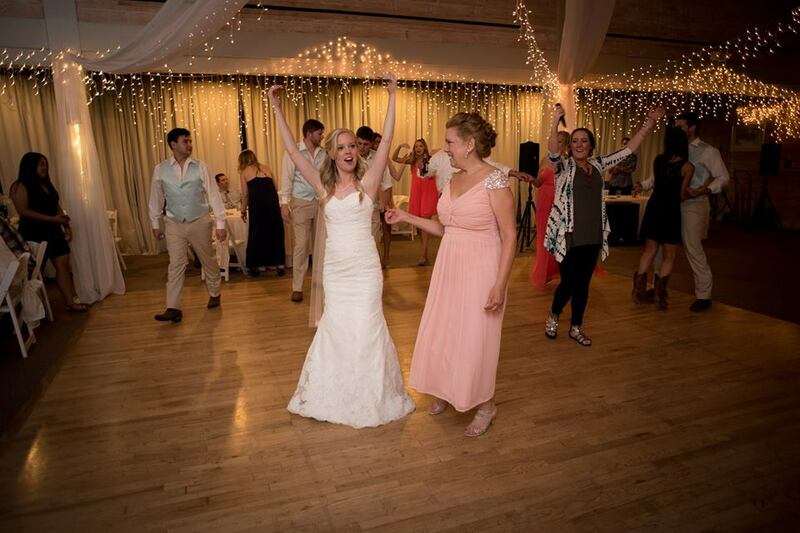 "Brianna was so helpful and kept me calm through out the rehearsal dinner. She did great knowing when to do the cake, tossing the flowers, and how to keep the guest entertained. She really made the wedding extra special. She sang her song she wrote while I was walking down the aisle. Which was very touching and made everything extra special. She kept me informed about everything. She also made sure the bride was happy at all times. If you don’t have you help her with your wedding, you won’t find any better person." "I connected with Bri immediately. She is an absolute professional and delight to be around. She was my DJ and understood exactly what I wanted and made it happen. She even stepped in and help out my not so helpful wedding coordinator. She is amazing at her job! I would highly recommend her to anyone getting married!!" Join the email fun! DJ Bri has lots of great information you'll need for your big day.